How often do you wash your sheets? Twice a month? Once a week? If you can’t remember the last time you tossed those sheets in the wash, the information in this article might have you racing for the detergent. 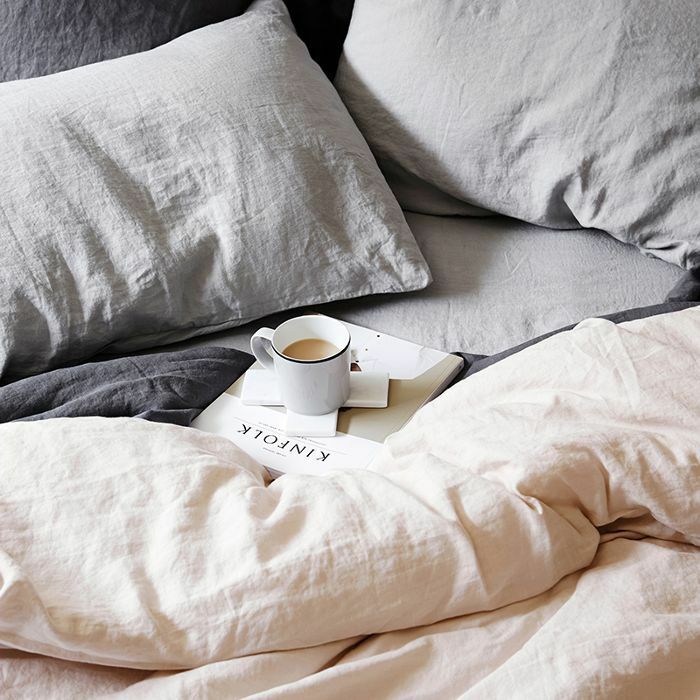 As it turns out, a majority of Americans aren’t washing their sheets often enough, and the consequences of that can run the gamut from allergies to breakouts. Consider this: One survey by Women's Health found that 44% of women wash their sheets every week, while 31% wash theirs twice a month. 16% wash their bedding once a month. Curious to know how often you should be washing your sheets? Keep reading to discover just how often your favorite bedding should be cleaned. How Often Should Sheets Be Washed? The experts agree: Sheets need to be washed every week. It’s a lot of work, but it’s a must. The average person spends a full third of their life in bed, and nobody wants to spend that time swimming in a sea of dirt and bacteria. Sheets collect dust mites, dead skin cells, dirt, pollen, pet dander, sweat, and even mold. Unclean sheets can even impact a person’s health. The bacteria left behind can clog pores and lead to acne breakouts. Dirty sheets can also contribute to eczema flare-ups, while the presence of dust mites can exacerbate allergies and cause respiratory and other health issues. These scourges can be prevented with regular cleanings. Although a few experts say it’s okay to wash the sheets every two weeks, this is pushing it. One study found that even after a single week, a bed sheet has 24,000 times more bacteria than a bathroom doorknob. Now that you know why you need to clean your sheets on a weekly basis, the next question is how? First and foremost, give the sheets their own wash cycle. They should never be thrown in with a load of clothes, as they need room to breathe. Use the highest heat setting when both washing and drying. This will kill off any lingering bacteria. Mild detergents are best for the wash—just make sure to dilute the detergent inside the machine before inserting the sheets. Finally, in addition to your favorite detergent, a bit of fabric softener will leave those sheets feeling fresh and inviting. While the sheets are in the wash, discover how you can take things one step further and clean your mattress to perfection.